Artificial Intelligence as a Business Technology: Artificial Intelligence (AI) is no longer a lab experiment. It is being used as a viable and valuable business technology. 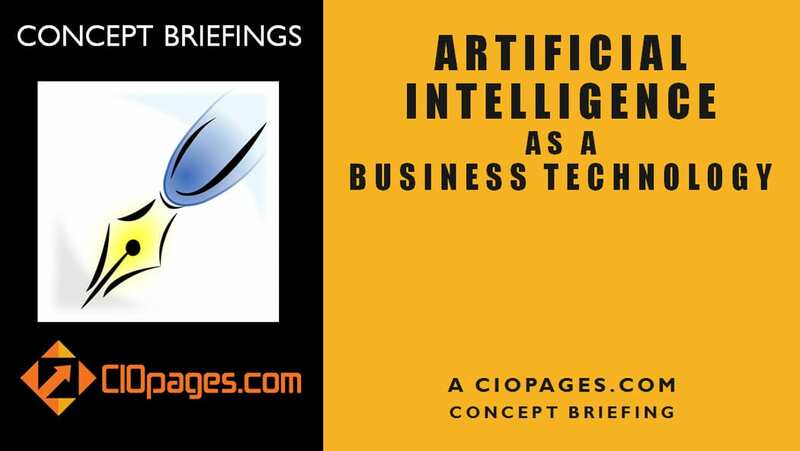 This CIOPages.com Artificial Intelligence as a Business Technology concept briefing addresses the potential of Artificial Intelligence as a business technology and provides a playbook to adopt AI in your enterprise. What is Artificial Intelligence as a Business Technology Concept Briefing? The current state of AI, how businesses are adopting AI, and making sense of the AI vendor landscape. Challenges and consideration when adopting AI in your business: Technical, people, skills et al. How does the Artificial Intelligence as a Business Technology Concept Briefing benefit me? Get a jumpstart on understanding the AI players – vendors and competitors – in your industry, and exploring areas where AI can benefit your enterprise. What is included in Artificial Intelligence as a Business Technology Concept Briefing? Artificial Intelligence as a Business Technology Concept Briefing is a PowerPoint deck. The content is both broad and deep with ~40 well structured and information rich slides, which you can reuse with or without modifications. WHAT IS ALL THIS “AI” BUZZ ABOUT? What Is AI? | What’s The History Of AI? | AI Is Booming | Why is AI Booming? As the Artificial Intelligence as a Business Technology Concept Briefing is a digital product, there are absolutely NO Returns. Depending on your industry, and the level of automation, some or all of the content may or may not be relevant to you. The sale of this item is bound by our terms of service. What is a CIO Pages Concept Briefing? How is it different than a Research Brief? More often than not, the Research Briefs are an introduction to a concept, a forecast of where things are going, an analysis of the market structure, or an evaluation of the vendor landscape. 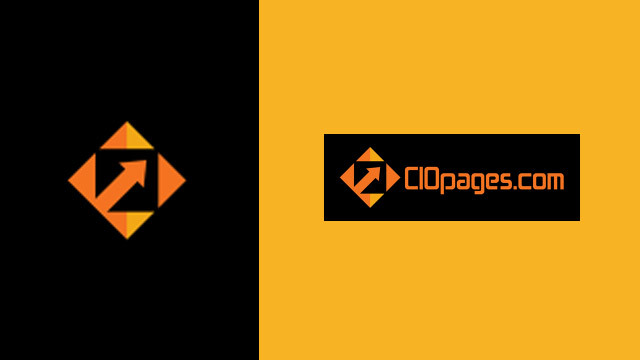 A CIOPages.com Concept Brief is a result of secondary research and a synthesis and an encapsulation of current thought leadership from across the board to help business and technology leaders get a unified and holistic picture of a topic area with an action orientation. How do I use Artificial Intelligence as a Business Technology Concept Brief? Why should I pay when this information is available for free? Of course, if you search far and wide, the Internet abounds with information. But it takes a lot of time to separate the wheat from the chafe and differentiate the signal from the noise. For executives that are crunched for time, the value of the information and knowledge far exceeds the fee for a briefing. Who writes these Concept Briefs? CIOPages.com has access to a talented team of contributors and consultants who are industry practitioners and subject matter experts. Based on our understanding of the market and the voice of our customers, we commission specific topics that have resonance. Will you do custom research for us? It depends on various factors, including whether our team of contributors/consultants can add value and provide the depth and breadth you are looking for. Please contact us to discuss your needs.